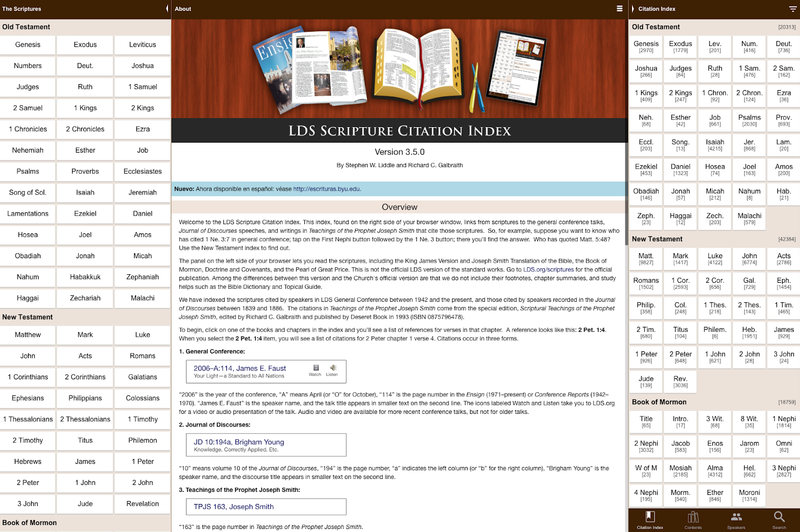 I love to use the LDS Scripture Citation Index App to reverse look up talks based on scriptures. By far my 2nd most favorite app which I've used almost every day for the past 7-8yrs to help clarify my scripture study. I feel like the Citation Index App is perfect for me, (the young in the gospel peeps) who need things explained to them in like a million different ways before they finally "get it" because it's as if I just joined the church yesterday. Ask my teachers, I did not pay attention when I was a kid or teen, and I am sure I still have ADHD, plus I am not great at remembering information and my reading comprehension is the worst! 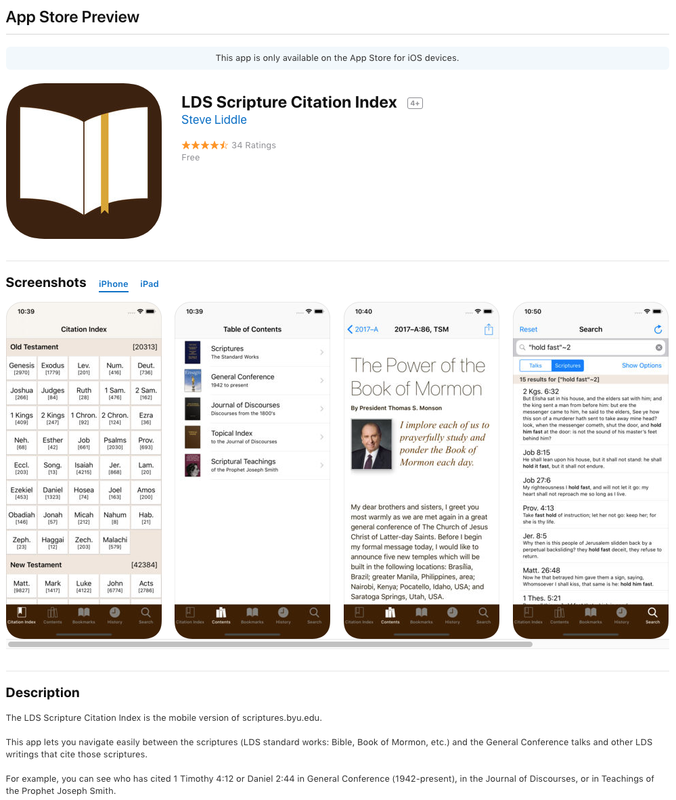 So, I need this app because it's as if the General Authorities are explaining the scriptures to me more clearly when I search them out this way. I first look up a book, then the chapter, then the verse and usually there is at least one talk if not more who have quoted that specific scripture and the app takes you right to the Talk and the spot where that scripture was quoted. I can choose to read just a little before and after the quoted scripture to get a glimpse at what they are referring to with the scripture or I can read the whole talk or go into several talks and do a really thorough look into the scripture. Depending on the time I have available I change it up. I jot impressions and insights in my journal and love to just write the quotes that stand out to me so that they can be engrained in my heart, mind, and soul. (Remember I have the worst reading retention so of course, I need to do something else besides just reading it. Either way, it's so enlightening! I don't know about you but I hate downloading just any and all apps on my phone, I like to save space for pics and vids. So just test it out before you commit, I totally get it. Click the link below to get a glimpse of how it works on their site. The app is laid out slightly different but you'll get the idea. Did you download it? Did you like it? I'd love to know what you use and do to enhance your scripture study, especially if things help to spell things out for you because I NEED that!